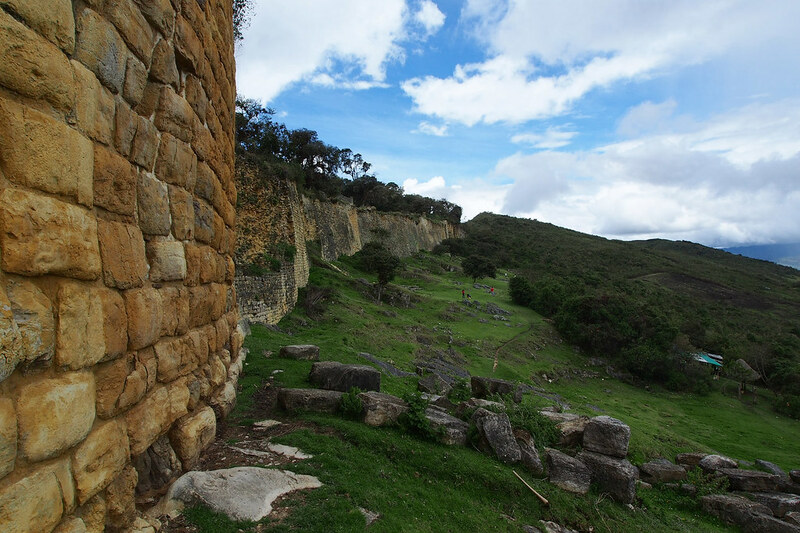 While I was in Mancora I really wanted to visit Kuelap which is near Chachapoyas. However, most bus journeys from Mancora go directly to Lima. I knew that EPPO go from Piura to Mancora but I also knew that these buses are pretty basic with very frequent stops and little regard for a passengers luggage. Fortunately, there are multiple services that go from Mancora to Chiclayo. The one I chose left at 9.30 in the morning and arrived in Chiclayo around 4pm. It was by the company Turela. The bus service was average, and I kind of wished I travelled with the Chiclayo bus company but I don’t think they had a timetable that would have suited me. In Chiclayo, you are of course greeted by the usual hordes of taxi drivers. You can get a really mixed service here, as this is where the more unscrupulous taxi drivers look to make a quick profit on tourists. Always ask them for the price first. Most short journeys cost between 2 to 5 soles. Get the price before you indicate that you will be using their service. I was rather tired from the journey so didn’t follow my usual advice and ended up paying over the odds, although I did use the same taxi to get multiple jobs done (bus ticket, buying a 3G internet dongle and food). Always set the price beforehand. Whilst the outskirts of Chiclayo are fairly barren and largely industrial, the centre, near the Plaza de las Armas is fairly pleasant. Although, it’s not the kind of place you want to be walking around with your bag or displaying your phone. The bus company from Chiclayo to Chachapoyas is Movil Tours. They have nice buses that cost around 60 soles. You’ll get a small meal onboard and Spanish language movie. The chairs also recline fairly far back so its pretty comfortable. Fortunately, when you check in at Movil Tours, you can hand in your bag immediately. This was perfect as I had 4-5 hours to kill before the bus left at around 9.30pm. Note that on weekends buses book up fast, so try to get in there at least 24 hours before. I reached Chachapoyas in the early hours, around 5.30am. Fortunately, I knew where I was heading. Chachapoyas Backpackers. It is a very central hostel with incredibly friendly service (staff keep calling you mi amour) and treat you like family. They organise a tour with a guide that speaks Spanish and English. The cost is 35 soles. Make sure you get the address beforehand. You can walk from bus station but it is often easier with a heavy backpack to jump in a taxi and pay 2 soles. Looking back, I would have probably booked in at a slightly nicer hostel and come to this hostel just to book the tour or chosen another tour company from recommendations on Tripadvisor, but it all worked out nicely, so I’m not complaining. Kuelap was completely worth it. The surrounding mountains were incredible, there are not that many people there so you can mooch around at your own pace and get pictures without too many people getting in the way! It’s nice and easy to access and the ruins are in good condition. Unfortunately, little is known about the cloud people (Chachapoyans) but the guides share what we do know. On YouTube you can find a documentary about them called People of the Clouds by the BBC and Chachapoyas Backpackers apparently have a National Geographic film on the location, which I plan on investigating tomorrow morning. Thanks this was super helpful! If you want to come to Chachapoyas it is easier from diferent cities like, Cajamarca you can take Virgend Carmen Bus directly to Chachapoyas dayli bus leaving at 5 am you will arrive at 4 pm, then form Chiclayo you can take Movil Tours, Transservis Kuelap, Civa y/o Expreso SAC, all these companies come directly to Chachapoyas over night they are leaving at 8 or 9 pm arriving at 6 am to the next day. If you come from Tarapoto to Chachapoyas you can take Turismo Selva colectivos directly to Chachapoyas that is the best option, that company leave at 6:30 am, 9 am and 12 am arriving to Chachapoyas at 3pm, 6pm and 8 pm. 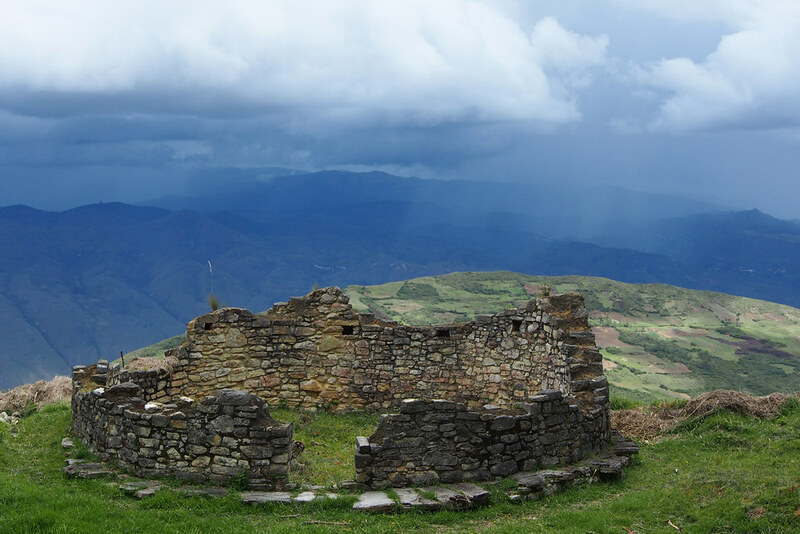 Arriving to Chachapoyas you can visit many places like: Kuelap fortres, Karajía sarcophagi, Quiocta cavern, Gocta waterfall, Mausoleums of Revash and the museum of Leymebamba. For people that like to walk in the mountain you can go to Gran Vilaya Trekking 4 days 3 night visiting the last day Kuelap fortress. hi! do you know is there is a difference on schedules on weekends? from Mancora-Piura to Chiclayo? Gracias! Thanks so much. This helped me a lot!